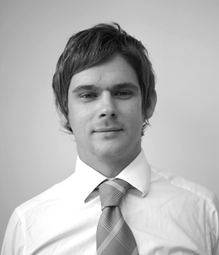 Ian is currently a specialist noise and vibration consultant with Southdowns, having joined the company in 2007 after graduating from the University of the West of England. Ian was awarded an MSc in Applied Acoustics and Noise Control in 2011 following completion on his thesis on amplitude modulation and low frequency noise from wind turbines. Since joining Southdowns, Ian has worked on a wide range of noise and vibration assessments across a range of sectors including highways, rail, industrial, commercial and residential. Ian has also undertaken numerous Best Practicable Means audits, assisting clients with mitigating noise and vibration on large construction projects. Ian works closely with the Equipment Team at Southdowns, having deployed and overseen the installation of numerous advanced real-time remote noise, vibration and air quality monitoring systems as well as developing Southdowns' ISO 9001 certified Equipment Management System. Ian is one of Southdowns' Registered Sound Insulation Testers under the Association of Noise Consultants Registration Scheme and is experienced in providing clients with acoustical design advice to ensure developments comply with Part E of the Building Regulations.